Have career extroverts lost their mock Bentley? Chrysler's uConnect techno family shares some traits with Ford's SYNC and MyTouch systems--you can control climate and audio with voice commands, or via the 300's LCD touchscreen, which looks sharper and reacts more quickly than Ford's screens. A riper, more mature Chrysler 300 renews our faith in restrained American styling--and in big V-8, rear-drive fun. The 2011 Dodge Charger has already escaped out of the barn door--and now it's the Chrysler 300's turn to roam loose under reimagined sheetmetal and a fluffed and primped interior, all rolling atop mild improvements to its chassis while a new V-6 drivetrain slots into some models. It's been the most satisfying Chrysler vehicle you can buy for the past half-decade, and the rash of improvements and upgrades that come to this year's model give the 300 renewed license to hunt for its share of shoppers interested in sedans like the Buick LaCrosse, Ford Taurus, even the Hyundai Genesis. A more muted, sophisticated design is draped over the 300's broad, familiar shoulders. The roof pillars are slimmer. The front prow wears a less toothy, less attention-starved grille that doesn't look as easily hot-swapped for a Bentley-lookalike piece. The cabin's a richer, wood-trimmed shroud for passengers, even with the bright distraction of a big LCD touchscreen front and center on the dash. Drape it in black, and you'll channel Sinatra-era hip in every ride. Chrysler's Pentastar V-6 brings new, good game to the entry levels, with 283 horsepower and a five-speed automatic that's a better fit than the company's newer beta-version six-speed automatics. The HEMI V-8 muscles its way into the top 300C as it always has, but doesn't overpower the chassis' relaxed manners or the electric-assisted steering's nuanced touch. Five passengers are still welcome inside, and so are iPods, iPhones and other small items--the bigger stuff will fit in the sizable trunk. All's well-protected by a raft of safety gear, with the latest electronic interventions bundled together in a package to help drivers detect vehicles in blind spots, crossing in traffic ahead and behind, and feel their way into and out of parking spots. It wouldn't have taken much for the Chrysler 300 to lose the plot--and it hasn't taken much reinvention to remind us why it's one of the best domestic sedans available today. The ballsy, brusque swagger has come down to a friendlier level--and as a result, the Chrysler 300's grown more appealing in almost every respect. Chrysler's hit the "muted" button on the 2011 300; there's more starch in its cuffs, and more parlor in its cabin. The 2011 Chrysler 300 stays closer to its styling roots with its crisply pressed sheetmetal, while it tosses out the past inside. You'll have to look closely at the old and new 300s to sense the subtle injections of drama that have replaced the big, almost cartoony, elements that abstracted themselves on the pre-2011 Chrysler sedan. It starts at the front: the first 300 became the "bougie Bentley" when buyers started swapping out its tall grille for synthetic Brit-looking ones. It wasn't always an improvement, but it pointed out exactly how exaggerated the 300's front end and shoulders had been drawn, intentionally. This time Chrysler's toned most of that down. The grille's now shrunk into a softer shield. Smaller headlights wear LED eyeliner. The fenders are more rectilinear, especially on the rear where they've picked up some of the intricate stamped-in details seen on the current Ford Taurus, Buick LaCrosse, even the most recent E-Class. From dead on, the rear end's vertical-tube taillamps have never glowed as expensively. If they were any thinner, they'd strike a distinctly Caddy note. Point of taste: polished chrome 20-inch wheels hit the proper blingy note on the old car, but on this one, the more subdued 19-inchers seem more fitting. There's more love to go around once you step inside the 300. The expensive-looking cabin wears new shapes, new trim and new materials, most of it emphatically better than ever. The cockpit doesn't look so plain anymore, with its timepiece-faced gauges, elm trim and matte-finish plastics. The big metallic ring around the LCD screen and air vents looks more like a thought balloon than a styling element, though--an unfinished idea, though well-finished. And while the textures all feel swell, the rubberized dash cap has the gummy grip that lint loves to call home. For our money, blue LED lighting doesn't read all that well in a car that looks its best in hushed tones of black, grey and brown. And the optional wood-and-heated steering wheel is overly thick--nearly the only cartoonish piece left in a comprehensive, tasteful redo. A brand-new V-6 means the base 2011 Chrysler 300 is a much better family sedan; it's a delectable co-conspirator with the HEMI V-8 found in the 300C. Reworked to the hilt--or to the limits of Chrysler's product engineers, given all the drama surrounding them in the past few years--the 2011 Chrysler 300 emerges even more confident in its road manners than before. The drivetrain ranks have been thinned, thankfully. Old V-6 engines have been axed, and replaced by the Pentastar 3.6-liter V-6 that's sprouting roots all over the Chrysler and Dodge lineup. In this application, the 292-hp V-6 is twinned with Chrysler's semi-old-news five-speed automatic. 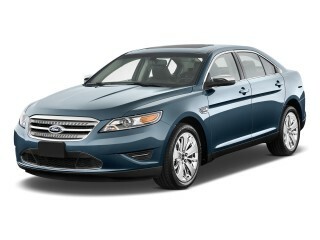 The five-speed actually responds better, with one fewer forward gear, than Chrysler's newer six-speed automatic. As in the new Grand Cherokee and Durango, the V-6/five-speed combination lets less drivetrain rumble into the cabin, and the forward gears are spaced better for more enthusiastic driving, than the four-short/two-tall gears in the six-speed automatic. There's a manual-shift mode, which requires drivers to pull a hand from the wheel and slap the lever left or right for gear changes. Chrysler's replacing the gearbox with an eight-speed ZF automatic by year's end, but even with this combination, the 300 can muster good 0-60 mph acceleration of about eight seconds, while it turns in an estimated 18/27 mpg. Turning up the heat several hundred degrees is Chrysler's HEMI V-8. Hooked into the same automatic transmission (it's a tough one, apparently), the 5.7-liter V-8 blows off an untroubled 363 horsepower while it thunders to 60 mph in less than 6.0 seconds, dragging the two-ton 300 and you and your friends along with it. It's no fuel miser, but cylinder deactivation technology means it will loaf along on four cylinders when it's not straining at the yoke, and Chrysler estimates highway fuel economy could attain 25 mpg. 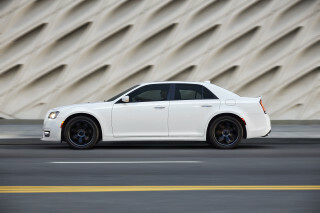 The Chrysler 300 is a rear-driver, except when it's not: the HEMI-equipped 300C can be fitted with all-wheel drive, which has an advantageous axle-disconnect system that helps fuel economy and handling when there's no need for all wheels to be engaged in power delivery. 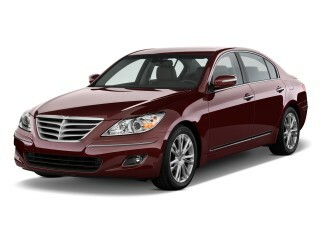 It's fitted with 19-inch wheels, which aren't much of an enemy to the 300's ride quality on rear-drive models. The suspension changes to the 300 aren't as radical as those to the base powertrains, but the addition of electric control to the hydraulic power steering pump hasn't hurt the 300's responsive steering. It's not overly meaty, like some all-electric systems can be. And it's mated well to the 300's ride and handling, which are crisp enough to egg you on across rural two-lane roads without pummeling you on scabby pavement--both of which we encountered in a long afternoon drive parallel to the California-Mexico border. Nothing about the 300 drives or feels small, necessarily, but its big-car charms don't translate into sloppy body roll or cushy, mushy ride motions. The Chrysler 300's interior has the space to match its more discreet charm, and it's built from better materials. 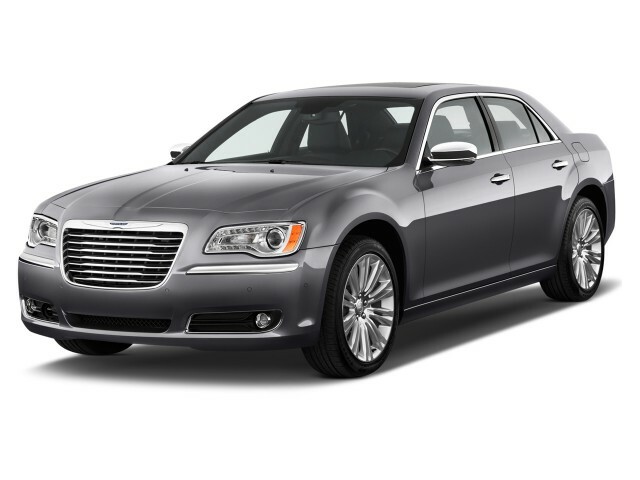 The 2011 Chrysler 300 hasn't given up any ground as one of the more roomy full-size sedans on the market. It's no Toyota Avalon, but the 300's wide-open spaces in front and in back mean it's a legit luxury conveyance for adults on their way to a trendy documentary screening--or something more furtive, requiring dark-tinted windows. The front seats feel better, with more side bolstering wrapped in upgraded, softer-skinned leather. There's a cloth seat standard on the base and Limited editions, but we haven't yet seen an example among all the pre-production 300s we're driven and shot on auto-show floors. The back seat adopts the new textures too, and it benefits from slightly more glass surrounding it, now that Chrysler's thinned out the 300's roof pillars. It doesn't seem as claustrophobic in the back seat as it used to--which means two full-grown adults will be able to focus on the good head and knee room, instead of on breathing. On paper it's a five-seat sedan, so if you're shooting for that target, make sure the back-seat passengers are on good terms, or moderate in size, or both. All of the surfaces inside the 300 have been reworked, rethought, and regrained--and it shows. We'd prefer a less rubberized dash cover, though. On a few examples, the black-tinted coating already seemed to be collecting dust and lint, detracting from the modern-Sinatra vibe that the 300 (especially the all-black versions) toss off casually. You'll find plenty of places to hide things in the 300's cabin. The cupholders hide under a roll-away tambour; the center console hides a usefully deep well, and there's a nicely sized bin in the console ahead of the shifter. All the doors have molded-in bottle holders. In the trunk, 16.3 cubic feet of space will hold plenty, even if it's not as big as the titanic 20-cube trunk in the Ford Taurus. Chrysler's spent some energy on muting the noise making its way into the 2011 300. In both V-6 and V-8 sedans we drove recently, there's still some appreciable noise. With the V-6, it's a semi-pronounced, midrange thrum emanating from the V-6 engine, blunted by thicker glass but still noticeable. Oddly, on the 300C we drove, all the noise rushed in through the rear--which a Chrysler engineer later attributed to reverberations echoing up a drip rail, a glitch being ironed out and baked into production-ready vehicles. It's aced its IIHS crash test; now all that stands between the 2011 Chrysler 300 and safety's top honors is a date with NHTSA's crash sled. The 2011 Chrysler 300 has already earned one top safety honor, and its generous list of standard safety equipment gives it a leg up on good crash-test scores from the federal government. The Insurance Institute for Highway Safety says the Chrysler 300 has earned "good" ratings on both its front- and side-impact tests--and since it also passes a roof-crush standard and has standard stability control, it's earned the IIHS' Top Safety Pick award. 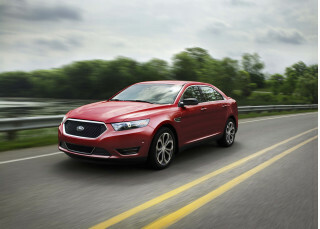 The National Highway Traffic Safety Administration (NHTSA) hasn't yet rated the new sedan. Every Chrysler 300 comes standard with dual front, side and curtain airbags; anti-lock brakes, stability and traction control; and tire pressure monitors. For the 2011 model year, Chrysler's added a SafetyTec package as an option on the Limited and 300C models, and it has all the latest safety aids including lane-departure warnings, blind-spot monitors, a forward-collision warning system, front and rear parking sensors, and adaptive cruise control. Chrysler says it's paid extra attention to visibility from inside the 300, and it's evident. The 300 has slimmer roof pillars than it did last year, and the larger glass areas mean the view to the rear corners in particular is much wider than before. Chrysler's plugged into some high-tech features for the new 300 sedan--and the standard USB port and satellite radio are welcome additions. The 2011 Chrysler 300 has more standard features than it did last year, and the lineup is split into three distinct models: Chrysler 300, 300 Limited, and 300C. The $27,995 Chrysler 300 offers power windows, locks and mirrors; cruise control; LED daytime running lights; keyless entry and pushbutton start; dual-zone climate control; a cloth interior; 17-inch wheels; and a power driver seat. An 8.4-inch LCD display, a USB port, an SD card slot, Sirius satellite radio and DVD playback capability are also standard, along with the usual AM/FM/CD capability. Opting up to the $31,995 Chrysler 300 Limited ladles on leather upholstery; heated front seats; an Alpine audio system, which delivers sharp sound that's somewhat overly focused along the centerline of the car; 18-inch wheels; a rearview camera; steering-wheel audio controls; and Bluetooth with voice command capability. The options list for the Limited include a panoramic sunroof; 20-inch wheels; a safety package with blind-spot detectors, forward-collision warnings, parking sensors and adaptive cruise control; a Luxury package adds on ventilated power front seats, a wood-trimmed and heated tilt/telescoping steering wheel, ash trim and heated cupholders. A navigation system also is available, as is Sirius Travel Link. The top-line $38,995 Chrysler 300C sports the HEMI V-8 drivetrain and all the features above as standard, plus heated rear seats, ambient LED interior lighting, a Garmin navigation system and a year's free service from Sirius Travel Link with real-time traffic information, gas prices, movie listings, even weather updates. A "uConnect Web" option plugs in a 3G dongle into the car and turns it into a mobile WiFi hotspot. The 300C also can be ordered with all-wheel drive. Fuel economy's improved in the 2011 Chrysler 300, but you'll have to wait a couple of years for a hybrid option. While Chrysler's pegged fuel economy in the 2011 Chrysler 300 sedan, the numbers are still estimates--the EPA hasn't signed off on final ratings. Chrysler says the V-6 300 will get ratings of 18/27 mpg, while the 300C and its HEMI V-8 will earn highway numbers of about 25 mpg. Cylinder deactivation on the V-8 helps it cut fuel use at some speeds by up to 20 percent over a standard V-8. Fiat CEO Sergio Marchionne surprised analysts recently, when he said the Chrysler 300 lineup would add a hybrid model by 2013. No details have been confirmed, but the vehicle won't be a version of the old "two-mode" hybrid system that Chrysler had engineered in the past along with GM, BMW and Daimler. Chrysler has confirmed, meanwhile, that an eight-speed automatic will be introduced in the 300 lineup by the end of 2011. The ZF-built transmission will have a standard-style gear selector--not a joystick-style piece like the same transmission uses in big BMW sedans. This is the one you want if you want American power, flash and comfort.